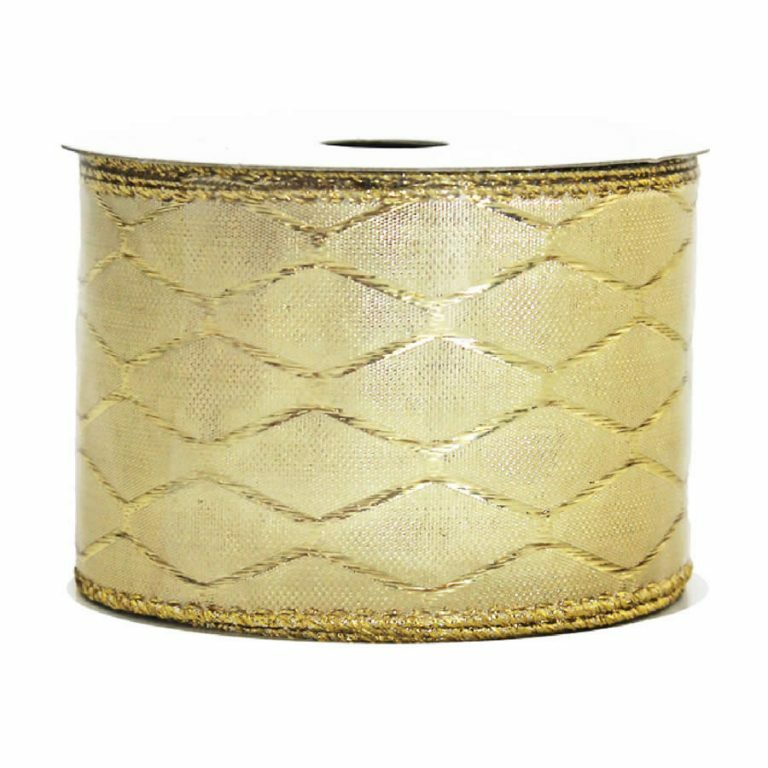 The sheer facade of the Metallic Gold Ribbon appears to be made from golden threads that form a mesh-like face for each 9-metre roll of 7cm wide ribbon. 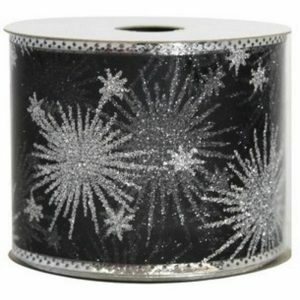 This is a magical, airy ribbon that will bring a glistening accent to all of your holiday decor and home displays. The sheer facade is trimmed with a golden braid, which serves to hide the clever and convenient wire edging. This wire edge is what allows you to make big, full bows and unique accents, without losing their shape or drooping. 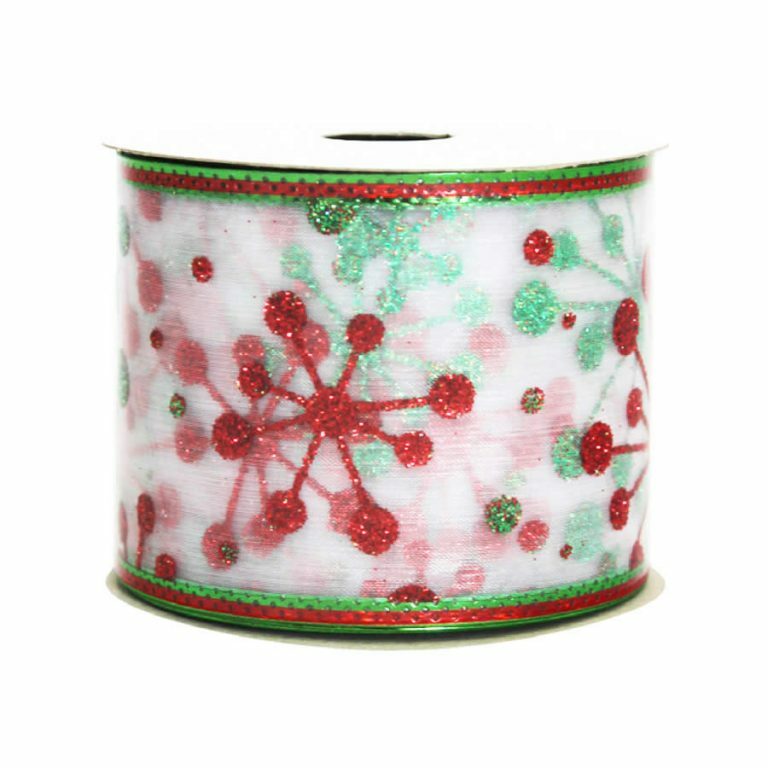 This quality ribbon can be used year after year- simply remove your trims after the holiday and re-twist, tie, or shape your ribbon to suit your next need. 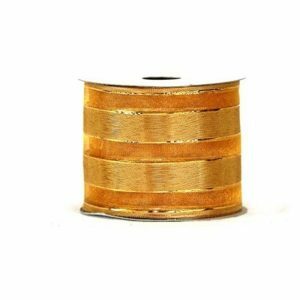 This is a wonderfully versatile gold ribbon, and it is perfect for dressing up a plain package or boring bouquet. 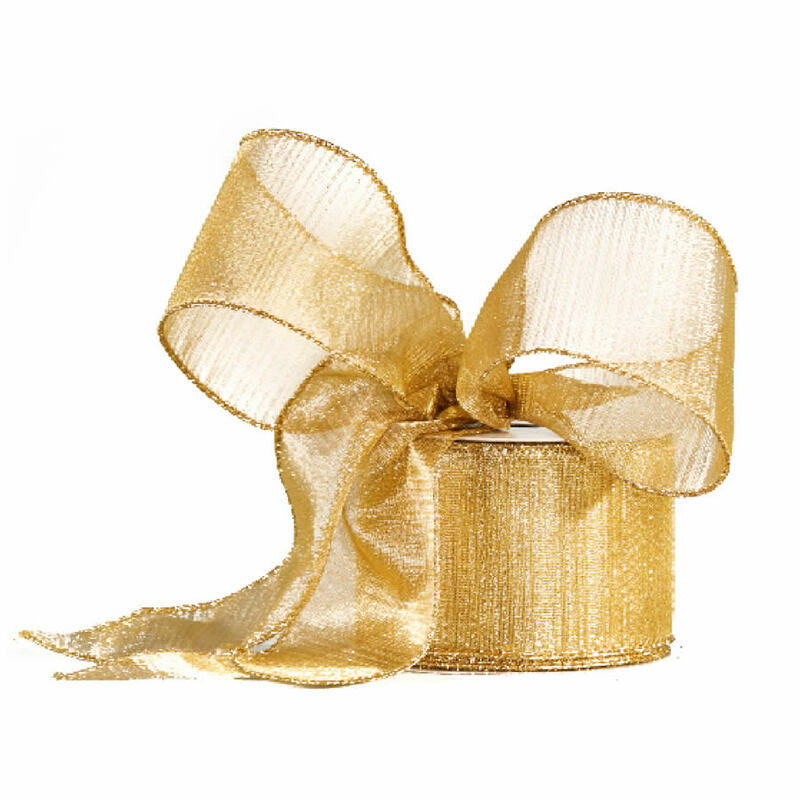 Don’t hide this ribbon after the holidays- instead, use it all year long for a variety of decorating projects!